What is a woonerf and why does it matter? A woonerf (pronounced voo-nerf) is a technique that originated in the Netherlands and is intended to transform streets from car prioritized spaces to shared spaces. The idea of a "Living Street" in which planters, landscaping, and slower speed limits are used to calm traffic. The idea is to allow pedestrians, cyclists, and cars to safely share the road without any priority given to either group. The overall objective is to view the street as a social space instead of simply as a means of transportation. The concept places equal responsibility on each user and increases alertness. The woonerf has been successfully implemented all over Europe and is spreading across the globe. According to an article in The New York Times, it is reported that in the United States, more than 400 cities either currently have, or soon will develop, “complete streets,”. As our society becomes increasingly urbanized it is important to find ways to coexist on an equal level. Ideally, improving quality of life for all the stakeholders in a community. If you live in Miami, the woonerf will soon be a reality. 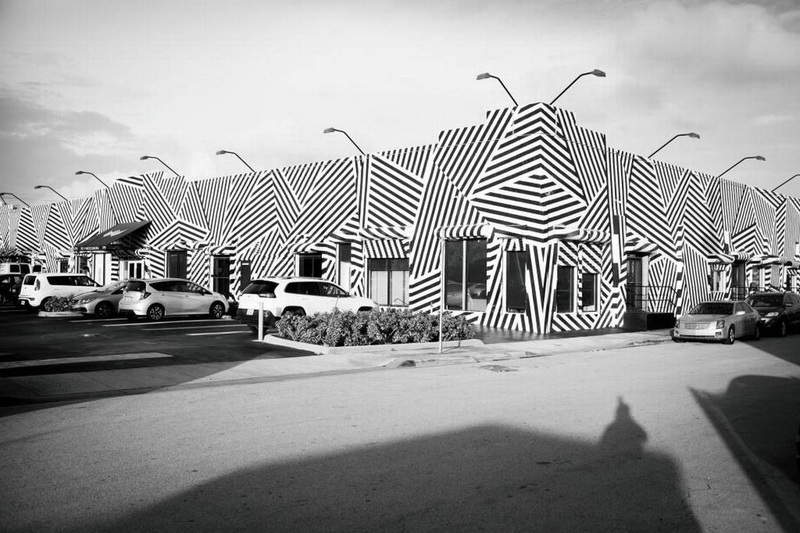 Wynwood will be the first Miami neighborhood to experiment with the progressive urban design. Miami commissioners have already approved a contract with a Brooklyn, N.Y., firm that will design the city’s first true shared street. The woonerf will "transform" NW 3rd Ave from NW 29th St. to NW 25th St. into welcoming public space. Seattle created Bell Street Park in 2014 in Belltown, one of the most densely populated neighborhoods. Since project completion, the Bell Street Park has become a favorite in the community, especially among business owners and neighborhood residents. The upside to this is that property values have reportedly gone up! The Wharf, located in SW Washington D.C. is another woonerf success story. One key advantage of the shared space approach is that it allows easier access by emergency vehicles. Additionally, the plan benefits the local businesses by granting access to their delivery trucks while remaining pedestrian and cyclist friendly. While the concept is relatively new here in the United States, woonerfs have been around since the 1960's. They appear to me to be working as they were intended in the cities that have implemented them. Support from both residents and business owners is increasing the popularity of the living street and property values have been reported to increase in neighborhoods that have them. Our society is moving in a direction where fewer individuals will own cars and car sharing will be more common. It only makes sense to start planning and implementing smart design that will mirror our future lifestyles and needs.